The Witcher Netflix series has cast the main character, Geralt of Rivia to the upcoming series, and it will be DC’s Man of Steel Henry Cavill. The fantasy series is based on the bestselling books by Polish author Andrzej Sapkowski. Lauren S. Hissrich (Marvel’s Daredevil, Marvel’s The Defenders, and Umbrella Academy), the showrunner, writer, and executive producer for the series, is an active twitter user and tweeted out her excitement for Cavill, aka Superman, joining her team. Netflix has also updated their Witcher information on their streaming service. 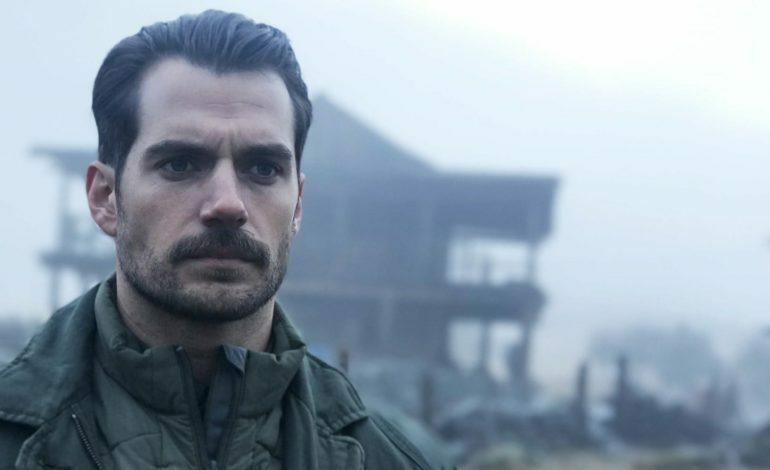 Not only does it include the logline for the series, it now also includes its first cast member Henry Cavill. Hissrich also tweeted out an image of the Netflix update thanking them for doing it. As the tweet reveals the series will focus on a Witcher name Geralt. He has gone through multiple pain staking mutations so that he can hunt monsters. As he travels around the continent he struggles to find his own place in a world were there are not only magical monsters that kill people, but also because people themselves prove to be more evil than he is hired to hunt. There is also the fact that people in the world do not like Witchers. During his journeys, he finds himself falling in love with a powerful sorceress (Yennefer). He also comes across a princess, which he ends of thinking of her as his daughter; however, she also has a very dangerous secret that something very evil is after. The Witcher will be Cavill’s return to television since his 2010 role in Showtime’s historical drama The Tudors. He is mainly known for his role as Superman in the DC movie universe with him acting in the films: Man of Steel, Batman v Superman: Dawn of Justice, and Justice League. Most recently he starred alongside Tom Cruise in the blockbuster movie Mission: Impossible – Fallout. The directors for the upcoming series are: Alik Sakharov (House of Cards, Game of Thrones), Alex Garcia Lopez (Marvel’s Luke Cage, Fear The Walking Dead), and Charlotte Brändström (Outlander, Counterpart). Sakharov will direct four episodes and double up as an executive producer. Garcia Lopez and Brändström will both direct two episodes each.